Its that time again… Monthly Favorites Time! This is a great neutral mauve-y pink that goes with anything. And it makes your lips look glossy without being sticky and you can’t beat the price! This Contour Palette is the bomb dot com! I absolutely love it. All of the shades (two bronzer and two highlighters) are pigmented and blend really well. The highlighters are not super shiny or glittery so if that’s what you like you will not be a fan of these, but if like me you like a little sheen and brightening you will love them. Covergirl Clump Crusher Mascara — $ 6.99-7.99 depending where you buy. This is one of those products that I’ve heard people rave about and I just never tried it. Ulta had a sale on Covergirl so I decided to give this a whirl and I have to say I’m very impressed. 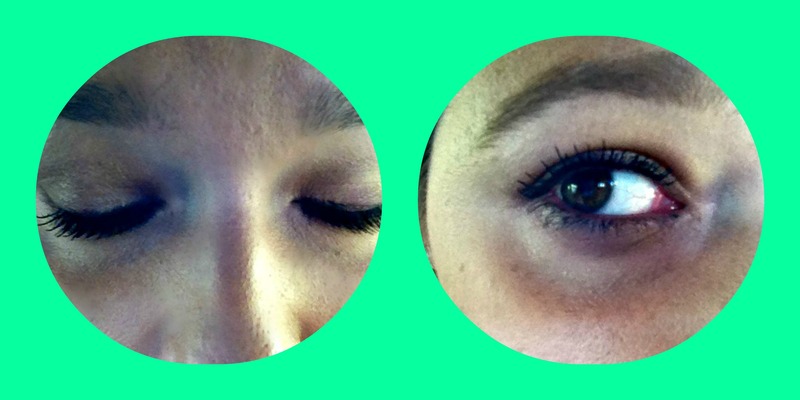 Definitely separates the lashes (no clumps duh!) but it still give volume and length. This blush is a dusty rose color with a plum overtone that is perfect for fall! I think I wore it every day this week. Also never pay full price for products from theBalm. Their website has sales all the time and they are also on Hautelook quite a bit. You might want to also check out your local Kohl’s their products can often be found there as well. This mask features activated charcoal which acts like a magnet to draw out deep-dwelling pore-cloggers. It also has White China clay which absorbs environmental toxins, and lecithin dissolves impurities. Lots of fancy talk to say that this mask makes my skin feel amazing. Very soft and smooth and the areas that get congested with grease and gunk (nose, cheeks and sometimes chin) feel cleaned and refreshed after using this! I decided to try this eye liner after hearing one of favorite Youtubers Coffee Break with Dani rave about it earlier this year. I picked up True Teal for me and Black for my mom. These eye liners are great for your water and tight line. For the most part they don’t move and if they do fade I don’t get weird goop in the corner of my eyes like most eyeliners do to me. When Ulta has a sale on L’oreal I will be picking up a few more of these! Let me know what you enjoyed in the month of September and what you are looking forward to in October! I bought this powder at Target about 6 months ago and I used it a few times and didn’t think it was anything special so it was put in the back of the drawer. For whatever reason about a month ago I pulled it out and used it and asked myself why I ever shoved it in the back of the drawer! This is a great powder for mattifying and I honestly do think that it does help slightly with color correcting. After checking the e.l.f. website I realize that there are three different types of this powder. There is a ‘cool toned powder’ (which is what I have), a ‘warm toned powder’ and a ‘shimmer powder’. Create a balanced and radiant complexion that is beautiful and healthy. The lightweight formula evens out skin tone and absorbs excess oil, and sheer formula brightens, mattes and neutralizes the skin. The colors are meant to be blended together as the Blue neutralizes orange, the Green neutralizes red, the Pink neutralizes grey and the Yellow brightens and neutralizes red. As you hit pan on this product it does become difficult to use as it starts to crumple. I think I will pry the rest of this out of the compact, put it in a old powder foundation container and crush it up to use as a loose powder. I will be repurchasing this product in the future, but first I want to use up at least one more powder in my collection. 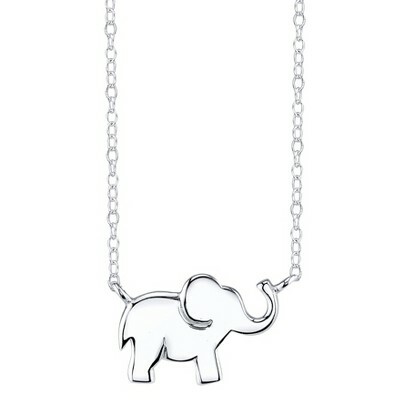 I love this little necklace and I enjoy wearing it. It is definitely a conversation starter, every time I wear it I get a compliment. I love finding quality product at a great price. There are only a few products from e.l.f that I have been disappointed in and this is not one of them. 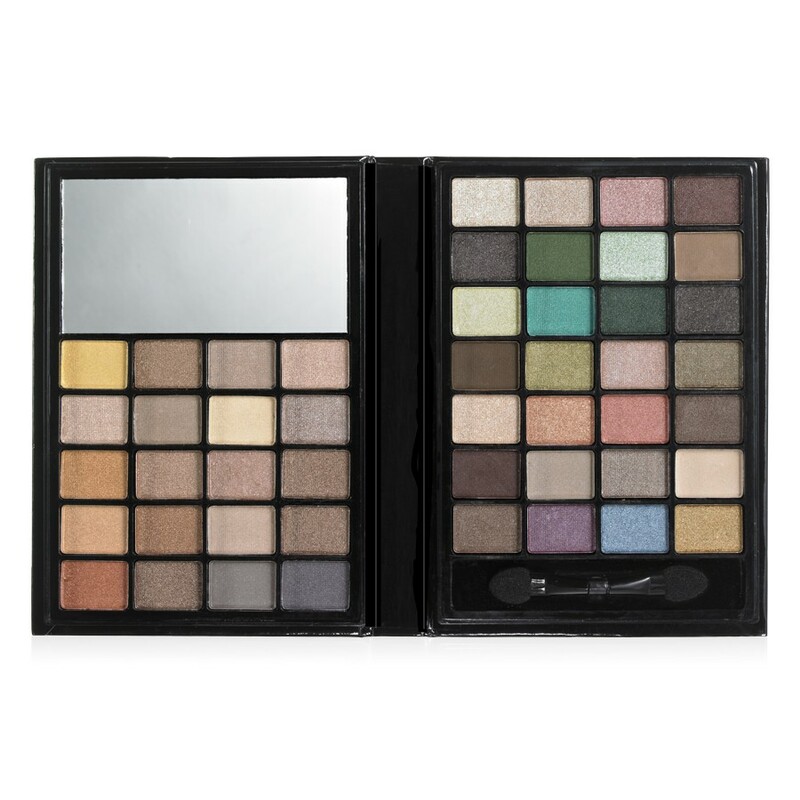 With 48 colors in a variety of matte, satin and shimmer there are endless looks to be created. This was the only eye palette I brought with me when I was out of town for a week. Ok bottom line does this lipstick give you color for 14 hours straight? No. But does that mean you shouldn’t try it? No. 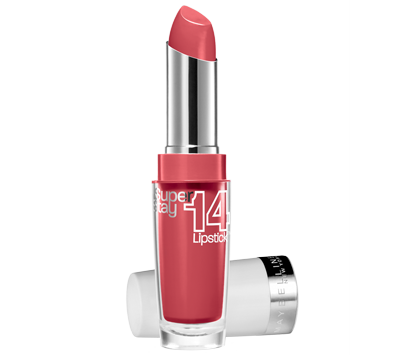 While it doesn’t live up to its claim of 14 hour wear it is still a long wearing color that doesn’t dry out your lips and has a great color pay off. I love the shade Keep Me Coral and I feel like it really complements my skin tone, so it is a keeper. FINALLY!!! 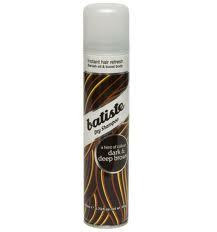 A dry shampoo that doesn’t leave my hair with a white/gray cast and somehow also absorbs oil! If you have dark hair and are struggling to find a dry shampoo that doesn’t make you look like you are three months past your root touch up then give this one a try. And bonus, it doesn’t stink! You have oily skin why would you use oil to clean your face? Good question, I don’t know why it works but it does. While the price point on this is pretty steep ( I received mine in a julep maven box) this is by far the best cleansing oil that I have ever tried that doesn’t leave my skin with a slick feeling after being washed off. 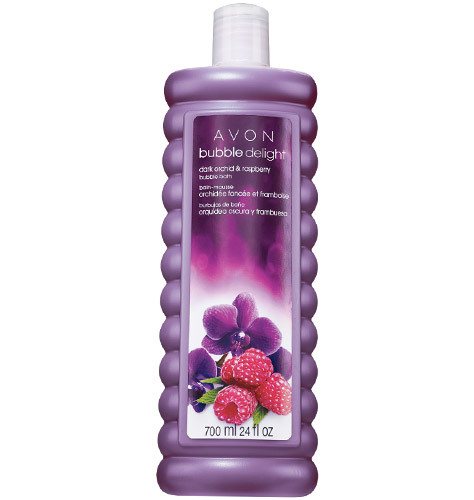 I love Avon’s Bubble Bath formula. It is seriously the best I have ever used. This bubble bath is scented with notes of rare orchids, intoxicating black raspberries and warm blonde wood which essentially smells like heaven! No Misses I could think of this month, which I guess is a good thing! I am always on the hunt for the ultimate mascara. I really don’t think it is too much to ask that my mascara, volumize, define, lengthen and overall just be awesome. But apparently it is because I have yet to find said mascara. But on my holy grail journey I have come across a few winners and I am going to share one with you today. Victoria Secret Volume Plump Mascara is just what it’s name says it is volume! This is not a waterproof formula and I have noticed on particularly humid days when I am outside that this mascara can sometimes transfer to my eyelids. But over all it is a good formula and the picture below is my lashes with two coats. Have you ever used a Victoria Secret Mascara? What were your results? I love to hear from my readers! If you follow my blog at all you all know by now I have super oily acne prone skin. And I am always on the hunt to find something, anything to keep my oil silo of a face matte. Well low and behold I believe I have found the answer and it cots less then $4.00 !!!! Can I get a “Woot Woot” ?! Yes I am smiling from ear to ear as I type this and if you ask any of my friends, they will tell you I cannot stop talking about this powder, it is a game changer for oily skin faces!!! What is this miracle product you ask? 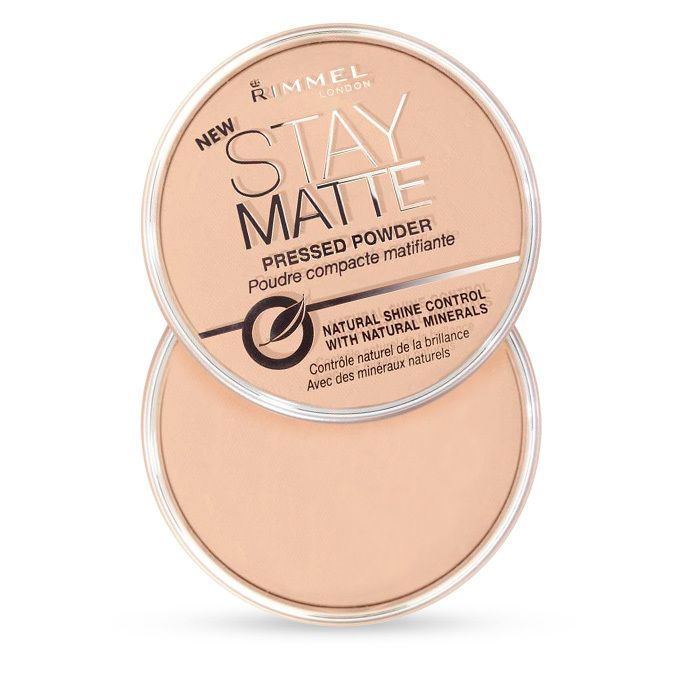 It is the Rimmel Stay Matte Powder. I really don’t have much else to say besides it keeps my oil at bay and I have wasted so much time and money on other products that cost five times what I pay for this and they weren’t worth crap. I bought mine in Translucent but they do have colors if that is more up your ally. If you have oily skin or just a troubled T-Zone give this power a go and really for less then $4.00 what do you have to lose? Really nothing because you will be shine and oil free!! Do you have a secret weapon to combat oily skin? If you do let me know!! !